SAN FRANCISCO, CA--(Marketwired - Jun 15, 2015) - ISU Insurance Agency Network has named industry veteran Daniel F. McCarthy to its newly created role of Chief Operating Officer. 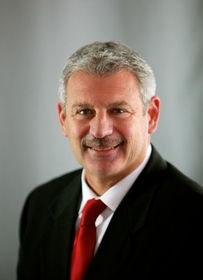 McCarthy was previously Sr. Vice President, Carrier Relations for ISU. Based in San Francisco, he will focus on enhancing services to the 160 offices of ISU while developing relationships with ISU's preferred carrier partners. "We are pleased to have Dan in this new expanded role. He is a nationally known executive with more than 25 years of experience in finance, underwriting, claims management and sales" states T. J. Ryan III, CEO of ISU. McCarthy also served in several executive positions at NSM, Insurex which he founded, ACE, and Industrial Indemnity. The ISU Insurance Agency Network, founded in 1979, is headquartered in San Francisco with 160 member offices in 30 states coast to coast.